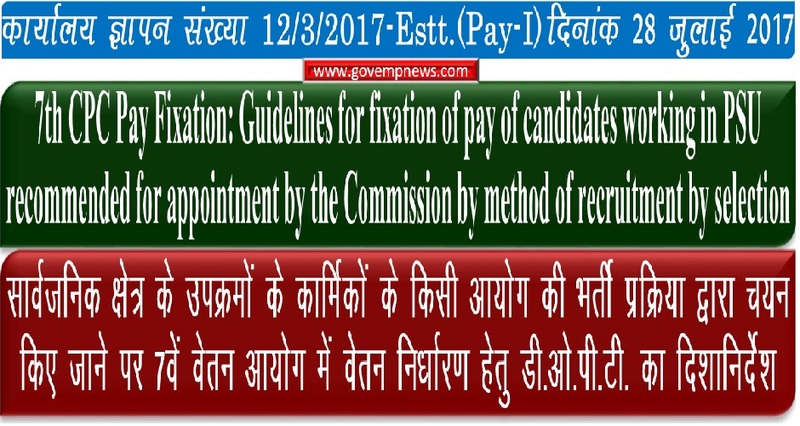 Subject:- Guidelines for fixation of pay of candidates working in Public Sector Undertakings etc., recommended for appointment by the Commission by method of recruitment by selection - regarding. 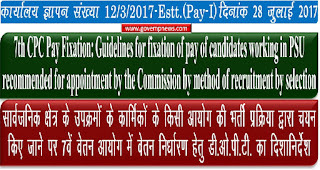 Reference is invited to this Department’s O.M.s No.12/1/88-Estt(Pay-I) dated 07.08.1989, OM No.12/1/96-Estt(Pay-I) dated 10.07.1998 and OM No.12/3/2009-Pay-I dated 30.03.2010 whereby guidelines for fixation of pay of candidates working in Public Sector Undertakings etc., on their appointment as direct recruits on selection through a properly constituted authority including departmental authorities, were issued. 3. 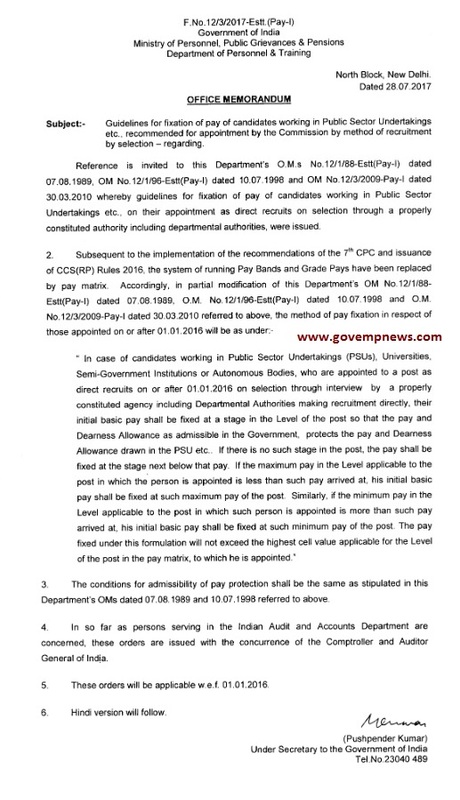 The conditions for admissibility of pay protection shall be the same as stipulated in this Department’s OMs dated 07.08.1989 and 10.07.1998 referred to above. 4. 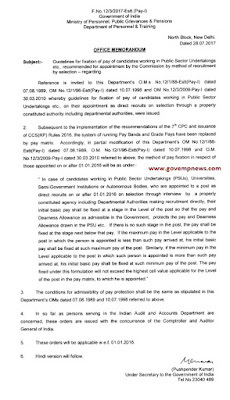 In so far as persons serving in the Indian Audit and Accounts Department are concerned, these orders are issued with the concurrence of the Comptroller and Auditor General of India. 5. These orders will be applicable w.e.f. 01.01.2016.